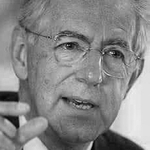 Mario Monti is the founding president of Bruegel, the president of Bocconi University, Milan and a Senator of the Italian Republic. He was Prime Minister of Italy (November 2011-April 2013) and Italian Minister of Economy and Finance (November 2011-July 2012). He served as a member of the European Commission, in charge of the internal market, financial services and taxation (1995-1999) and then of competition (1999-2004). In addition to decisions on landmark cases (among which are GE/Honeywell, Microsoft, the German Landesbanken), he introduced radical reforms of EU antitrust and merger control and led, with the U.S. authorities, the creation of the International Competition Network (ICN). Prior to joining the Commission, he was professor of economics and then rector of Bocconi. He has published extensively on monetary and financial economics, fiscal policy, competition policy, and European integration. He had advisory roles in policy formulation in Italy (starting in the 1980s with financial reform and the first competition law), the UK (on Lord Roll’s Committee proposing independence for the Bank of England in 1993), and France (on the Attali Commission on Economic Growth, appointed by President Sarkozy in 2007). He graduated from Bocconi University and continued his studies at Yale University. Mario Monti shares his insight on the making of Bruegel.